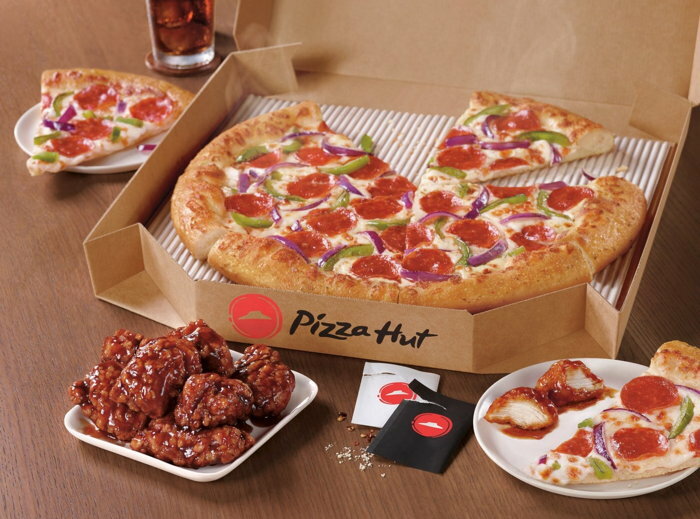 Pizza Hut announced today its commitment to serve chicken raised free of antibiotics important to human medicine (per World Health Organization) by 2022. This commitment comprises all chicken, including the company&apos;s WingStreet wings, and comes roughly a year after the brand completed the removal of antibiotics important to human medicine from its chicken for pizza. Pizza Hut is the first national pizza company to commit to an antibiotic policy for chicken wings. "We are dedicated to listening to our customers and to serving better food. Today&apos;s announcement to no longer serve chicken raised with antibiotics by 2022 demonstrates our commitment to serve food that not only tastes great, but that customers can feel good about eating," said Marianne Radley, chief brand officer, Pizza Hut. "Our customers are our business, and we will continue to push ourselves to ensure that we are delivering the quality food and quality experience our customers expect and deserve." In addition to the removal of antibiotics important to human medicine from its chicken, Pizza Hut announced the commitment to eliminate BHA/BHT from all meats in summer of 2016 and the use of artificial preservatives from cheese in 2017. In 2015, Pizza Hut became the first national pizza restaurant to remove artificial flavors and colors from its core pizzas. On top of that, Pizza Hut has already eliminated partially hydrogenated oils (also known as artificial trans fats) and MSG. Over the past six years, Pizza Hut has removed three million pounds of salt from its ingredients. "The Pizza Hut culinary team has done a terrific job of listening to the voice of the customer, and have worked tirelessly to mind emerging health trends while not impacting the great taste that makes our food so special," said Radley. The pizza company does not use any fillers in any of its meat toppings. Its Italian sausage is all natural and sourced from U.S. farmers, and its meatballs are free of any artificial colors, flavors or preservatives. Pizza Hut also does not add any sugar or oil to its pizza marinara sauce, and its cheese is made from 100 percent whole milk mozzarella. Are you with Pizza Hut? If you are a member of Pizza Hut you may be interested in learning how to optimize your content on our network.